Our city council has been considering some restrictions around the local eagles nest which I commented on in a letter to the editor. The letter basically summarized some of the posts in this blog. 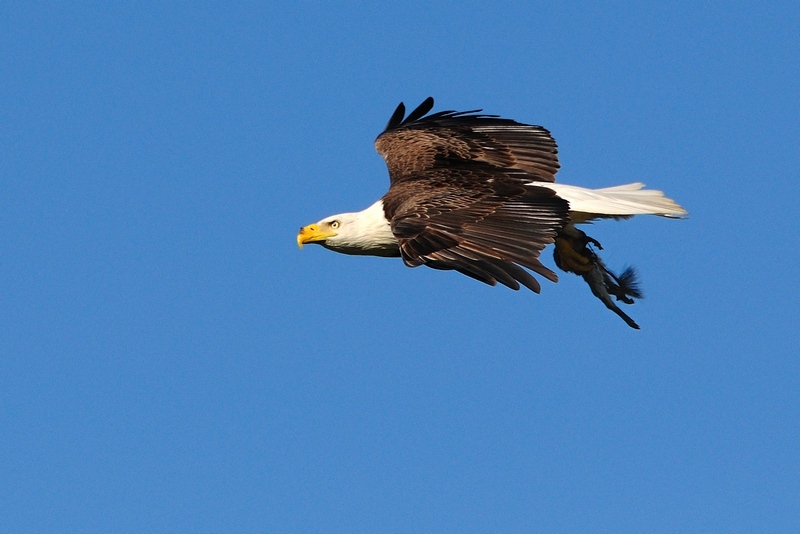 I did mention a photo of the eagle carrying a bedraggled squirrel which may have been poisoned. This is the picture. The day after this was taken, all three eagles became very sick. The baby did not survive. This entry was posted in Bird and tagged Eagle, Photography. Bookmark the permalink. 1 Response to The fatal squirrel? I have just spent hours on this newly found web site. It is so wonderful. Thank you, thank you, thank you. I’m so glad I read your letter to the editor.